Nintendo Switch Rumors: Are 2 New Models Coming in 2019? Nintendo Switch Rumors: Are 2 New Models Coming in 2019? Nintendo Switch fans will be happy to hear that there will be two new iterations of the video game console, possibly in 2019. Meanwhile, the second new Nintendo Switch model is a cheaper alternative “for casual gamers,” which the gaming giant sees as a successor to the popular hand-held 3DS device. The news came from The Wall Street Journal, which noted that the cheaper model will be more affordable by removing certain features, including the vibration on the device. The publication added that both new versions will likely be announced at E3, which is in mid-June. There is also a possibility that the Nintendo Switch devices will be released a few months after that, coinciding with the busy holiday season. 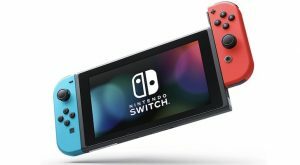 Nintendo appears to be expanding on its selection of consoles as gaming demographics become more diverse, with more casual gamers opting for cheaper console versions, while more avid gamers are willing to pay extra for improved graphics, more features and a more comprehensive gaming experience. Previous articleVegan influencer’s career in jeopardy after being caught on camera eating the wrong thing. Next articleSweet 16 Film Review: How Will Virginia Tech try to defend Duke?